Keeping your daycare parents happy will be an important part of your daycare business. While your priority in your daycare is nurturing children and keeping them safe, let’s not forget the importance of parents. They are leaving their heart at your doorstep each morning, and they are without question, the most important people in the lives of your daycare children. A little kindness goes a long way, and parents need to feel that you are working with them. You want the parents to feel every bit as welcome in your daycare as the children. Here are some ideas to help you show parents that they are important too. Make sure there is time in the morning to ask the parent how the child is doing. It gives the parent an opportunity to let you know how the child slept, when he last ate, and anything else pertinent you may need to know. There may be times when events have happened since the child went home the day before that will affect how the child is feeling that day. Make sure parents do not feel rushed and have the opportunity to inform you in the mornings. Always respect the privacy of the families in your care. Do not gossip; it is not a good business practice. A child may tell you something about their home life that you have no right to know. Pretend you don't. If during the course of the day a child says something positive about a parent, let the parent know at pick-up time. Although you would not want to make it a regular practice, on occasion a parent will be short on funds and need to pay you late. You’ll know which parents are likely to take advantage of you. If you believe the reasoning is legitimate, making an exception to the rule may well reduce stress for one of your families. Near your entryway, post a community bulletin board. Parents can use the board to offer items for sale or giveaway, post new baby announcements, etc. You also will be able to use the board for little reminders for the parents, such as, when the field trip permission slips must be in, Red day is Friday, etc. Ask parents to help out with field trips and holiday parties. They can volunteer to help chaperone or make goodies to share. You’ll appreciate the extra pair of hands and the kids will love the parents being a part of their activities. Ask daycare parents for craft contributions too. It’s a lot easier to ask for bathroom tissue tubes from parents than to save them up yourself. Ask parents to bring in any odds and ends they have. Yarn, fabric, assorted size boxes, etc, could all be put to good use. Their own children’s outgrown toys could be donated to the group. Mention to the parents at pick up time what has taken place during the day. This gives them an immediate conversation starter with their child. It also helps to build the bond between parent and child. Parents work all day (same as you do) and don’t really need to hear about minor annoyances. Save any griping for real problems. Should a daycare parent have a gripe with you, listen carefully to their concerns. Stay friendly and calm and as agreeable as possible. Find a solution that works for both of you. Do not, however, alter anything about your daycare if it is not in the best interests of all the children. *Discussions like this should not take place in front of children. Parents take pictures of their children to document their lives. Everything from playing and eating, to bath time and potty training. Of course parents would love pictures of their children taken in daycare. Take pictures (singularly or group photos) of the children playing, at craft time, even napping. Make doubles and share the pictures with daycare parents who will be delighted. During a child’s time with you, save some of their drawings. Write down any cute sayings (and the story behind them). Make a scrapbook of both items (add photos if you like) to give to the daycare parents when a child’s time in your daycare comes to an end. Ask for parent e-mail addresses. Use this for reminders of all kinds and occasionally send a “KidGram”. Just a short note letting them know something special their child did that day or simply that you enjoy having their child in your program (make sure to mention why). 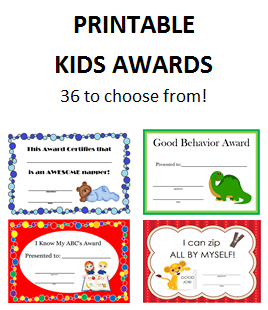 *Use Parent Notes and Kids Awards to keep parents up to date on what is happening in daycare and their child’s accomplishments. Do any of your daycare parents have a special talent? There’s nothing quite like a field trip experience without leaving home. Maybe they play an instrument and would be willing to help with a musical activity. Perhaps they have a hobby they would be able to share in a demonstration for the children. Not only are most parents honored to be asked, but their child will be “oh so proud” when Mom or Dad shows up. Make sure to plan activities where each child can make something special for Mother’s Day and Father’s Day. Make a Monthly Calendar to let parents know what will be happening in the coming weeks. Include your Weekly Themes, field trips, craft projects, etc. Create a monthly newsletter. Let the parents know what activities the children have been involved with and what they will be doing and learning in the next couple of weeks. Include funny or special moments to share with the parents as a group. Clearly post a “Welcome Anytime” sign. Parents need to know they can drop in or stop by for a short visit anytime during daycare hours. Offer a “Parents Night Out” once a month. Charge a nominal fee to watch the children from 6-10 pm one Friday night a month. This gives parents needed time off and adds a bonus to your daycare program. Make a simple supper and plan a special activity.